Earlier this spring, the National Toxicology Program, part of the National Institutes of Health, released a draft report on two long-running studies on the potential health effects of cell phone radiation. The researchers found that exposure to high levels of radiofrequency radiation was linked to a slight increase in the incidence of malignant schwannomas, a rare type of tumor, in nerve tissues near the hearts of male rats. They also found some association with damage to heart tissue in both male and female rats. Mice, however, didn’t have similar effects. The animals were exposed to high levels of radiofrequency radiation for nine hours per day over their entire bodies for up to two years. This week, a panel of peer reviewers met for three days to discuss the studies and their conclusions, and voted to increase the level of confidence in the findings, saying that there was a clear link between the radiofrequency radiation exposure and the male rat heart tissue tumors. The National Toxicology Program now has to decide whether to accept the panel’s recommendation before the final report is released. Zoe Schlanger, environment reporter at Quartz, joins Ira to talk about the meeting and the challenges of teasing out health risks from complex data. Zoe Schlanger is an environment reporter for Quartz, based in New York, New York. IRA FLATOW: There’s a palpable fear some people have about cell phone radiation. 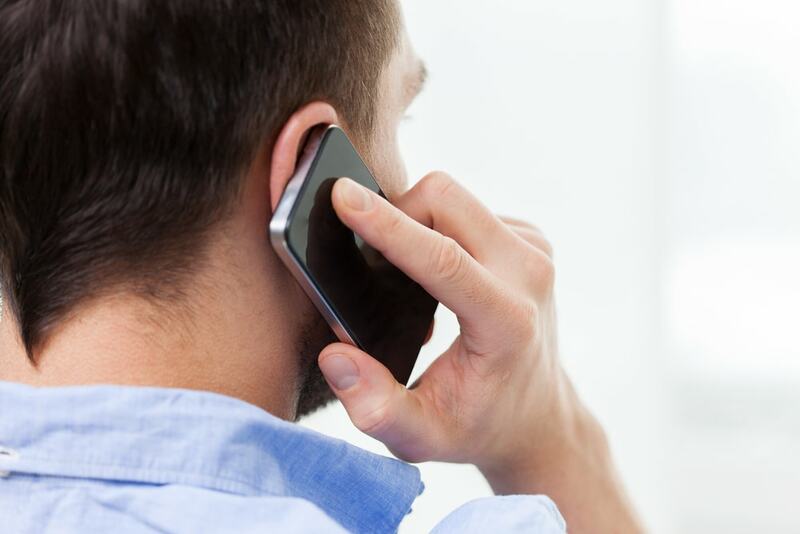 Earlier this spring the national toxicological– toxicology program, sorry, part of the NIH, released a draft report on a long running study on the potential health effects of cell phone radiation. Mice and rats were exposed to high levels of radio frequency radiation, like from cell phones, for nine hours per day over their entire bodies for up to two years. And the researchers found that exposure to those high levels of radio frequency radiation was linked to a slight increase in the incidence of malignant schwannomas, a rare type of tumor in nerve tissue near the hearts of male rats. They also found some association with damage to heart tissue in both male and female rats. Mice, however, didn’t have similar effects. Well, this week, a panel of peer reviewers met for three days to discuss the studies and their conclusions. And they voted to increase their level of confidence in the findings, saying there was a clear link between radio frequency radiation exposure and the male rat heart tissue tumors. The NTP now has to decide whether to accept the panel’s recommendation before the final report is released. Zoe Schlanger, environmental reporter at Quartz, joins us now to talk about the meeting and the study. Welcome to the program. ZOE SCHLANGER: Thanks for having me, Ira. IRA FLATOW: You listened to the whole meeting there, or close to it? ZOE SCHLANGER: Most of it. IRA FLATOW: Most of it. ZOE SCHLANGER: It was a pretty tedious three days, but it did get exciting towards the end. IRA FLATOW: What do you mean it got exciting towards the end? ZOE SCHLANGER: Well, when you watch peer review panels, you don’t typically see the peer reviewers changing the conclusions or upgrading them to be more significant than the study authors actually decided prior. So what we saw was that this expert panel of toxicologists and all these cancer specialists decided that it was clearly evident that the cancer– the cancer in the heart was directly related to the cell phone radiation. IRA FLATOW: In other words, they were not as unsure as the original report was. They were more sure after they read it and discussed it? IRA FLATOW: Now, the NTP is going to continue with more testing. This is not the final testing program that they’ve done. ZOE SCHLANGER: What happens now is that the NTP has figured out what the risk is like in rats, and that doesn’t necessarily mean what the risk is for humans. But what happens now is that the FDA, the Food and Drug Administration, takes these results. And they’re responsible for telling us and analyzing those results to tell us whether or not that risk is beyond the acceptable amount of risk for humans. IRA FLATOW: And what’s interesting about this study is it goes back so far that the researchers did not– they only used 2G phone frequencies. Not 3G, not 4G, not 5G that’s coming up. ZOE SCHLANGER: They did use 3G. They used 2G and 3G, and those were the dominant technologies at the time, because this study has been in the works for almost 10 years. It’s the biggest study we’ve had so far on this subject. And there are some people who have some concerns that if we’re finding risk at this level, that 5G could potentially expose people to higher degrees of radiation, having further results. ZOE SCHLANGER: It’s funny that peer review study process will never quite keep up with technology. Always be a little behind. IRA FLATOW: Yeah. This is Science Friday from PRI, Public Radio International. We’re talking about this cell phone study. It is unusual, though, for a peer review panel to look at the data and come back with something stronger than actually what the study was implying, isn’t it? ZOE SCHLANGER: Yeah. It did seem that the actual study authors were trying to be as circumspect as possible. The peer reviewers looked at it in context of what they knew about cancer and the rarity of certain cancers or the aggressiveness of this particular heart cancer and decided, with their knowledge, that this was significant enough to warrant that clear signal, because it changes how the public sees this too. IRA FLATOW: Yeah. Yeah. I mean, let’s talk about this specific tumor they found that was elevated in only male rats, but not female rats or mice in the study, that they have a reason for that. ZOE SCHLANGER: So the levels were actually elevated in the female rats as well, but it didn’t reach statistical significance. So it’s a very high bar for something to be considered clear evidence of significance. There could be various reasons for this. There could be difference in the controls of the two populations, or it could really be a gender affected thing. For example, men, human men, are much more susceptible to kidney cancer, for example. IRA FLATOW: Now, this is just going to keep the debate alive even further, isn’t it? ZOE SCHLANGER: –quite a bit, because up to this point, we’ve regulated phones and looked at that science as assuming they can’t possibly cause cancer because the type of radiation is not strong enough to break bonds. So it can’t alter your DNA, which means it can’t give you cancer. But now that we’re finding this, we know that it’s possible. That’s what we’ve come away with. It’s possible for this to cause cancer in cells. We just don’t know the mechanism. IRA FLATOW: And did they find it’s possible to change the DNA, also? ZOE SCHLANGER: They did find some levels of DNA damage in the brain. That was not considered clear evidence. So they’re a little unsure about that. IRA FLATOW: And this was a– as you say, it’s been going on for a while. It’s a $25 million study. ZOE SCHLANGER: Absolutely. It started in the works in 1999. IRA FLATOW: Were the people who were opponents of cell phone technology well-represented at the peer review hearing? ZOE SCHLANGER: Well, the nature of the peer review hearing is that the people who are meant to be given the most airtime are the experts. There were representatives of groups. I think there was a brain tumor association. And people were questioning whether or not those peer reviewers should be there, whether or not they were expert enough. But from my perspective, they were all major players in their fields. IRA FLATOW: And did the people who were fearful of the cell phone radiation come away thinking, oh, maybe we have a minor victory? Or maybe we’ve convinced some people that this should be studied further, especially the peer review group? ZOE SCHLANGER: It’s hard to say. I wouldn’t judge a victory or not. But I will say that this definitely adds to the weight of evidence that cell phones are something that need to be scrutinized in the future. IRA FLATOW: And also, the 5G technology, which is going to– is transmitting a signal in a much different way than the old cell phone towers. ZOE SCHLANGER: Right. That’s a very different technology. IRA FLATOW: Yeah. Because people are concerned that that might be of concern to us or should be of concern to us too. ZOE SCHLANGER: It’s going to take many more studies to figure that out. ZOE SCHLANGER: We are not totally sure. I did speak to the designer of the study on the phone earlier today. He said that, in his opinion, the FDA should come right out and suggest people basic guidelines for how to use their cellphones differently– to not put it near their head, not keep them around children, things like that. But it’s up to the FDA at this point. IRA FLATOW: Didn’t the original instructions with the cell phone, when they first came out, said, don’t put it to your head. ZOE SCHLANGER: You know, I didn’t realize that until years later. But if you look at your cell phone manual, any of your cell phones, it does say that. They say, use a headset, and don’t put it in your pocket. IRA FLATOW: We’ve had Nora Volkow come on the show. She’s with NIH. And she’s, you know, head of one of the Institutes. And she says, I would never put a cell phone to my head. She’s said this to us a few times. ZOE SCHLANGER: You know, it has changed the way I behave around my phone as well. ZOE SCHLANGER: Thank you so much. IRA FLATOW: –for taking the time to be with us today. And she’s an environmental reporter at Quartz. Weightlessness and radiation both take a toll on the body, in ways we still don’t fully understand.